We generate certificates every day and can usually have your certificate processed with 24-48 hours. Regular mail delivery is free and included with the course. 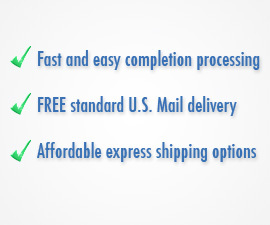 If you need your certificate right away, we offer shipping upgrades to get your certificate to you as soon as the next business day with rush processing included. 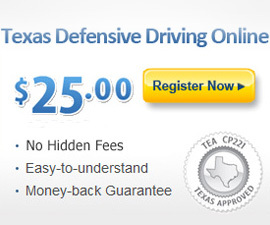 Earning your Texas ticket dismissal has never been easier! When you complete your course lessons, we process your completion information that very same day, and get your certificate sent out to you for FREE! 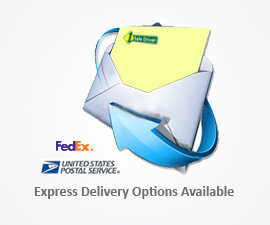 Plus, we offer you the ability to expedite your shipping process through any of our low-priced Fed Ex options. That way, you don't have to wait another day to get that ticket off of your driving record. And remember, you will likely need to have your driving record to turn into your court as well. You can order your driving record with your course, and we'll ship it out to you – no visit to the DPS required! What do I do with my certificate? A student/insurance copy and a court copy of your certificate of completion will be mailed to you. You will need to detach the court copy and deliver it to the court, either by hand or through the mail. Make sure you deliver this copy to the court prior to your traffic school completion due date. The student/insurance copy is yours to keep for your own records or to send to your insurance company for insurance rate purposes.